Power to the maximum has been a part of the BMW Motorsport division for decades now. And one of the latest models to come from the performance department at BMW is the scintillating and completely wild BMW X5M. This is not your ordinary X5 – which is bloody quick in itself! Packed with raw power and sporting energy, the seriously quick BMW X5M is awesome. You don’t buy one of these without wanting to know just how much grunt lies under the hood. So, to satisfy your curiosity there is a whopping 408 kW available to all four corners of the vehicle for superior traction and phenomenal road-holding – whatever the speed. Impressive doesn’t stop there either; have a peak at the torque figures, and you better be sitting down. The petrol powered M TwinPower Turbo V8 boasts faster turbocharger response than any other Turbo engine in the world. With 680 Nm available across an extremely wide rev range, from 1500 rpm to 5650 rpm, this is an astonishingly potent machine, and these figures start to rival the vehicles running in the Aussie V8 Supercars competition. With AWD xDrive traction, the BMW X5M might even run quicker around the Bathurst track when the track is greasy after rain. You wouldn’t expect a clunky five-speeder in the BMW X5M, that’s why the latest six-speed sports transmission leads the charge. In manual mode, shift times are incredibly short across all six gear ratios. And, of course, the M shift paddles on the steering wheel can be used at any time for gear changes that rival race car changes. A 0-100 km/h sprint time of 4.7 seconds is brief – to say the least. Where the race car won’t go, the BMW X5M will. Owning the BMW X5M ensures that you can still tackle the back roads and forest tracks with ease. The BMW X5M will scuttle through the sand traps that are made for bogging the race cars down! You’ll be looking good where ever you venture in the BMW X5M. The smooth lines remain low profile and Smart for turning out at the Melbourne cup races. Head to a twisty portion of road, and the squat proportions, flared wheel arches, quad exhausts, large bi-xenon headlights, air dam and 20-inch v-spoke alloys make a sporty statement as you carve out the S-bends in the road ahead. Roadholding is incredibly surefooted, which is sensational remembering that the BMW X5M weighs in at around two tonnes. The nimble handling is backed up by some highly advanced electronics which govern the chassis, brakes and traction. Anti-lock Brakes, Cornering Brake Control, Dynamic Stability Control, M Dynamic Mode, M Drive, Dynamic Performance Control, Cruise control with a brake function, a run-flat safety tyre indicator, an adaptive drive system, a superior combination of EDC and Dynamic Drive to achieve body-roll stabilisation, rain sensor/auto headlight control and a self-levelling rear axle suspension lead the way. This is a large and quick vehicle, and that is why BMW have ensured that the best safety features and technology are incorporated inside the BMW X5M. Driver and front passenger airbags – with occupant detector, curtain head airbags for front and rear passengers, side airbags for front seats and an excellent side impact protection system competes with the best the world has to offer. Owning a BMW X5M, also ensures that you have a slightly higher line of sight over the road ahead than the more common sedan designs. 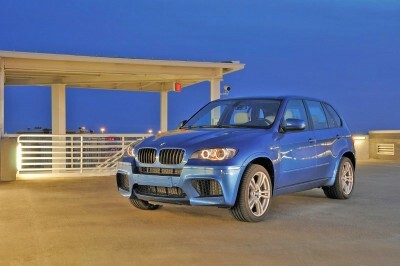 If you are in the league for a BMW X5M, then you won’t be disappointed. The BMW X5M models come with plenty of luxury, plenty of cabin space, comfort and exotic sports appeal. For anymore information on the BMW X5M, or for that matter any other new car, contact one of our friendly consultants on 1300 303 181. If you’d like some fleet discount pricing (yes even for private buyers! ), we can submit vehicle quotes requests out to our national network of BMW dealers and come back with pricing within 24 hours. Private Fleet – car buying made easy!